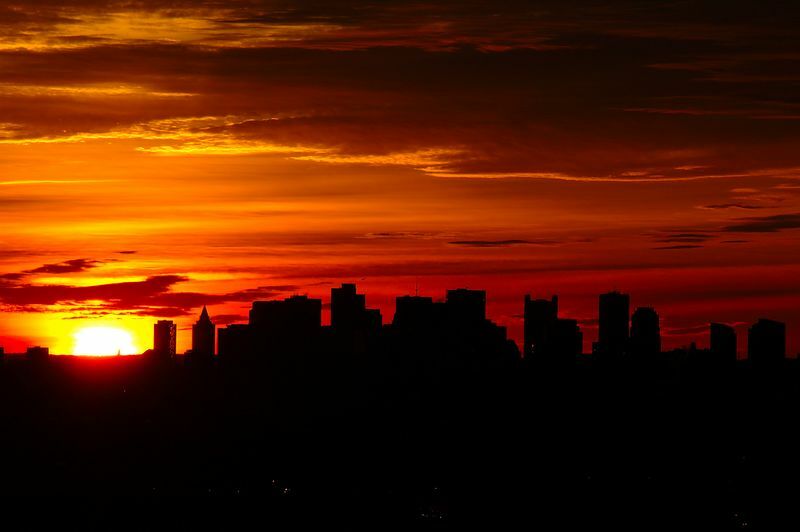 Sunrise over Boston. As we approach the winter solstice, the sun is moving further and further south. Here I catch it just north of the downtown section of the city. That building closest to the sun is Harbor Towers, a residential building. If you look closely, you can see the rising run shining through the building and lighting up the windows on the southern face. Be sure to check out the original size (click on the "original" link below the picture), since the size reduced version is not as sharp.